Refurbished semi-detached family villa offered in excellent order throughout and comprising spacious accommodation over two levels with hallway with storage cupboard, lounge, modern well-equipped kitchen with integrated oven & grill, also includes “Beko” washing machine & there is space for fridge freezer currently including freestanding fridge. There is a modern shower room also on ground floor & two generous double bedrooms on the upper floor. Warmed by gas central heating the property also benefits from being double glazed and offers off street parking for several vehicles. The enclosed garden to rear is well presented with paved patio area and lawn with exterior water tap & lighting. The property also benefits from security alarm, cavity wall insulation & is available for early entry. 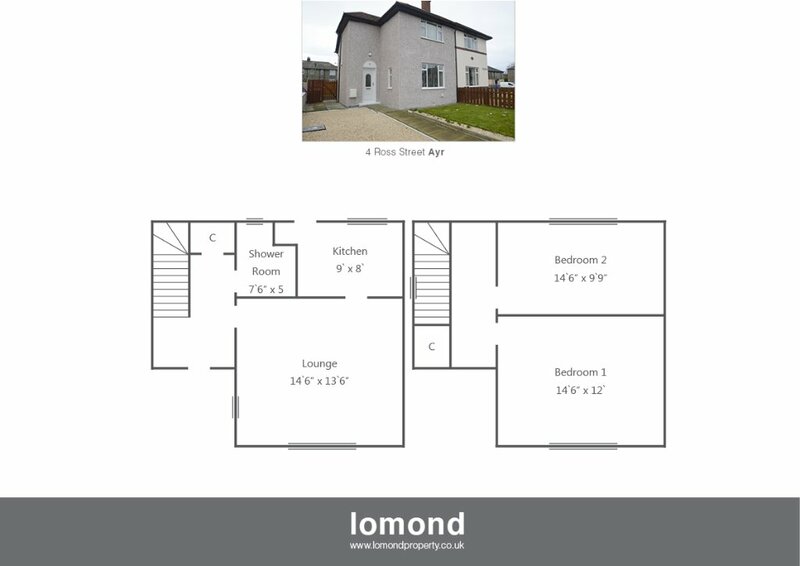 Located close to local amenities convenient for easy access to local schools and Ayr town center.